We have today announced principal casting for their productions of Tim Rice and Andrew Lloyd Webber's Evita, the fastest selling production in our theatre's history. Chicago-based Samantha Pauly makes her UK debut in the role of Eva Peron, direct from her performance in SIX (Chicago Shakespeare Theatre) and as Valkyrie in Bat Out Of Hell (US Tour). She appears alongside Ektor Rivera, also making his UK debut, having recently played Emilio Estefan in On Your Feet! on Broadway and US Tour. In addition to lead roles in Rent, Hairspray and High School Musical, Ektor was selected by Jennifer López to be one of the lead singers in the US Television and Live show Q'Viva! The Chosen, which was seen by over 30 million television viewers. An original Broadway cast member of Disney's Aladdin - where he has been performing on and off for the last 5 years - Trent Saunders returns to the UK in the role of Che following his appearance as St. Jimmy in Green Day's American Idiot (Hammersmith Apollo). Nominated for an Olivier Award for her role as Kylah in Our Ladies of Perpetual Succour, Frances Mayli McCann plays the role of The Mistress. Joining Director Jamie Lloyd are: Soutra Gilmour (Designer), Fabian Aloise (Choreographer), Alan Williams (Musical Supervisor), Jon Clark (Lighting Designer), Nick Lidster for Autograph (Sound Designer) and Barbara Houseman (Season Associate Director, Voice and Text). UK casting is by Will Burton CDG for DGA, and US casting by Tara Rubin Casting. 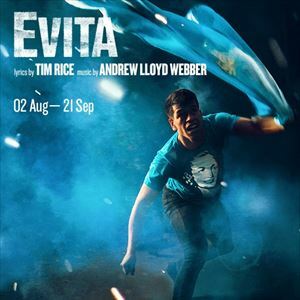 Evita premiered in the West End in 1978, and features a chart-topping score including Don't Cry For Me Argentina, Oh! What A Circus, Another Suitcase in Another Hall, and the Academy Award-winning You Must Love Me, originally performed by Madonna in the motion picture. AGE RESTRICTION: As a sung-through musical with a playing time of approximately 2hr 25mins, Evita is likely to be most suitable for secondary school age and over. Further information and synopsis can be found by searching online for ?Evita'. It remains the responsibility of the parent/guardian in advance of purchase to make their own judgement as to the suitability of the show for their own child. 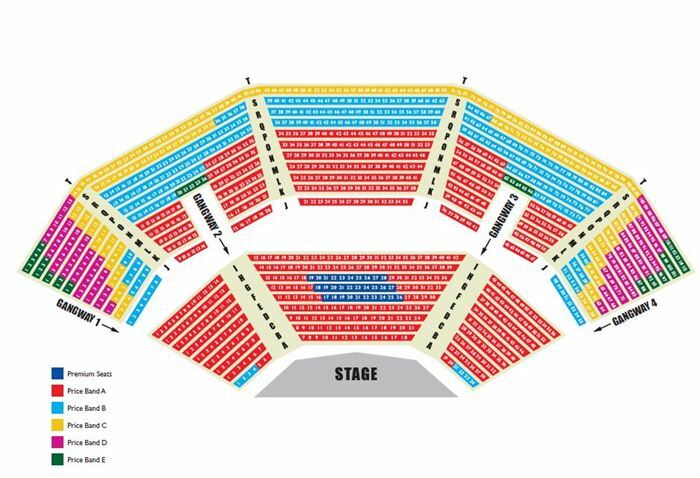 WEATHER POLICY: Please note that the auditorium and stage are completely uncovered and shows in the main theatre repertoire may be cancelled or abandoned because of the weather. Tickets are non-refundable in the event of cancellation because of the weather but may be exchanged in accordance with the policy set out in section 5 of Regent's Park Theatre's terms and conditions which are at www.openairtheatre.com/terms.